On 8 March, women the world over will celebrate International Women’s Day, which commemorates women's emancipation and their achievements. However, Belarusians largely celebrate the 8th of March in a different way, putting an emphasis on women as mothers, housekeepers, and wives. On 17 February, the Council of Ministers signed a national plan on gender equality for 2020. Although Belarus generally performs very well in gender equality indicators, women nevertheless earn 24% less than men and occupy high academic positions in only 23% of cases. The weak representation of Belarusian women in politics and business should have the potential to galvanise them to demand rights. However, the women’s movement in Belarus is woefully underdeveloped, disorganised, and disoriented. Staying put or moving backwards? Belarusian women’s activism has a long history. The first union, called United Belarusian Women’s Committee, appeared at the beginning of the 20th century. At that time, advocacy groups were actively involved in promoting both women’s rights and national revival. The first women’s party, Nadzeja, emerged in 1994, and throughout the 1990s Belarusian women pulled together in working associations and rights organisations. However, starting in the 2000s, the development of women’s activism hit a rut. Today around 40 registered women’s organisations exist in the country, making up less than 1.5% of all NGOs in Belarus. Despite its existence on paper, the Belarusian women’s network, an umbrella organisation of women's rights groups created in 2007, has not achieved significant results. Over the past few years, the Belarusian women’s movement has struggled to form common advocacy campaigns or united and coordinated actions. Moreover, a significant portion of registered organisations do not even recognise the thriving discrimination against Belarusian women. 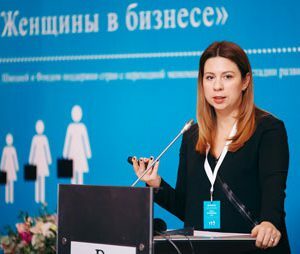 Vice-chairman of the Belarusian Union of Women, Antanina Morava, has stated that there is no need in Belarus to introduce a gender equality law as the Constitution already guarantees all rights. The role of women's organisations is often a mere formality for the regime. This is also true of most other GoNGOs (Governmental non-governmental organisations, created and controlled by the government). Organisations such as the Belarusian Union of Women, which comprises more than 170,000 members, receive grants and help the state monopolise the sector by promoting traditional family values. Despite attempts to unify and hammer out common goals, Belarusian women’s organisations have been so far unable to create a strong movement. In 2007, almost 20 women’s initiatives set up a network for Belarusian women. Belarus also introduced a National Gender Platform for stimulating gender equality in the country. Nevertheless, due to the difference in agendas and goals, the women’s movement in Belarus has suffered from a lack of unity, with every unit acting alone. Several times, women’s organisations have attempted to create a network which would prioritise political and social issues. Meanwhile, the majority of associations focus on working with victims of violence and violence prevention. Cities have domestic violence hotlines, violence-related billboards, and some form of women’s organisations. However, a much smaller number of units works to promote social and political rights. For instance, in 2016 women's initiatives monitored the parliamentary election from a gender perspective. The Belarusian women’s movement appears to be unique in that it is mostly non-feminist. A study conducted under the framework of the project ‘Developing a single strategy on Gender Equality issues of the EaP CSF’ revealed that almost 80% indicated that their organisation has no written gender policy or means to monitor it. Currently, financial organisations and projects prioritise the inclusion of women in business. In 2016, the European Bank for Reconstruction and Development financed (and is still working on) a large project called Women in Business, centred around women's participation and education in business. The media continue to write about the top 10 or 25 Belarusian businesswomen. However, in the most recent rating of the best business people, only seven out of 200 were women. Neither is it the case that gender issues have become a visible part of the political agenda due to women's political participation. In 2015, Tacciana Karatkievič, Belarus's first female presidential candidate, fostered a 'motherly' image rather than promoting women's rights. On 6 March, Lidzija Jarmošyna, chairperson of the Central Election Commission, told the national press-centre that 'women are not very prone to political participation'. Despite a 30% parliamentary membership, comparing to 12.5% in Ukraine, women’s rights are not a part of the agenda. Women’s rights also remain underrepresented at the economic level. In 2016, the average salary of Belarusian women was 25% lower than men. According to a recent Internet survey of 1,519 women conducted by TUT.by, 90% encounter discrimination at the workplace. Nevertheless, this is a last-order issue for many organisations. Three main obstacles to Belarusian women’s movements predominate today. As in the case with youth organisations, the state aims to feign women’s participation by creating large-scale pro-governmental organisations such as the Belarusian Union of Women. Poor coordination of women’s organisations and decreasing support from the state and sponsors weakens the movement even further. Women's political representation in Belarus and the activity of women's organisations seem to be completely uncorrelated. In 2016, Belarusians elected Kanapackaja and Anisim, who became the first two female oppositional deputies. However, neither deputies aim to address gender issues, and women's organisations do not try to use them to promote their agenda. Women’s rights groups, much like other organisations in Belarus, have become victims of NGO legislation. Difficulties with registration and receiving foreign funds create additional obstacles for activists. For instance, over the past several years, the Ministry of Justice has registered only two women's organisations, thus keeping the share of women's NGOs at 1.5%. 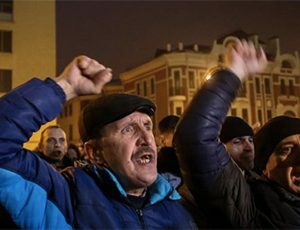 Despite the fractured nature of the women's movement in Belarus, over the past years many unregistered initiatives advocating for social rights for women have appeared. Recent projects, such as MakeOut, Zdolnaya, and HerRights create new possibilities for women's rights advocacy. Nevertheless, their popularity is low and their activities are restricted by legal issues. If the state, society, and activists fail to address these existing challenges, the Belarusian women’s movement will become increasingly marginalised and continue to lose ground.